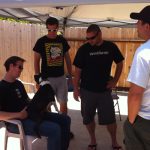 Big Brew Day 2012 was an amazing brew day for JenEric and friends. 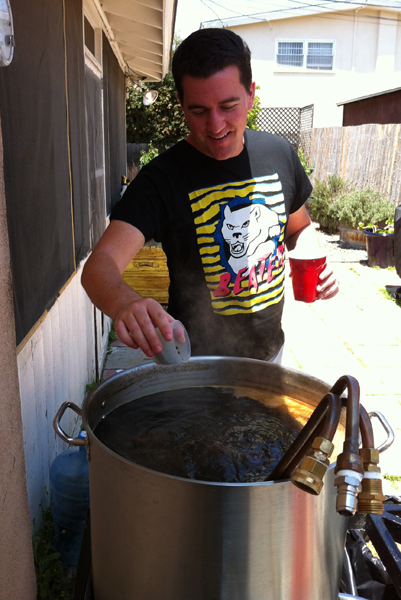 We had a Big Brew brewing party to celebrate the legalization of Home Brewing Nationally as well as to do a collaboration with our friends Alex and Gavin. 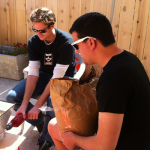 Big Brew fell on Cinco de Mayo this year so we BBQ’d up some Carne and Pollo from Poncho Villas …… YUMMM. 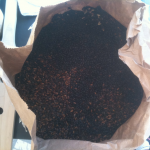 The Wednesday prior to Big Brew, Alex and Gavin came over and we put together our recipe, which we decided was going to be a Robust Porter. JenEric had never brewed this style and there is a club only competition coming up that we want to enter so we pushed for it. Alex and Gavin were all aboard, they both love the style and pretty much just wanted to brew whatever was going to be delicious and drinkable. As always when creating a recipe that is a new style for us, we go through our books Designing Great Beers and Brewing Classic Styles to chart out a rough draft of our grain bill as well as show Alex and Gavin how we generally begin to formulate recipes. Once we had an idea of the types of grain and the general percents of each we started filling in our JenEric Recipe Spreadsheet. 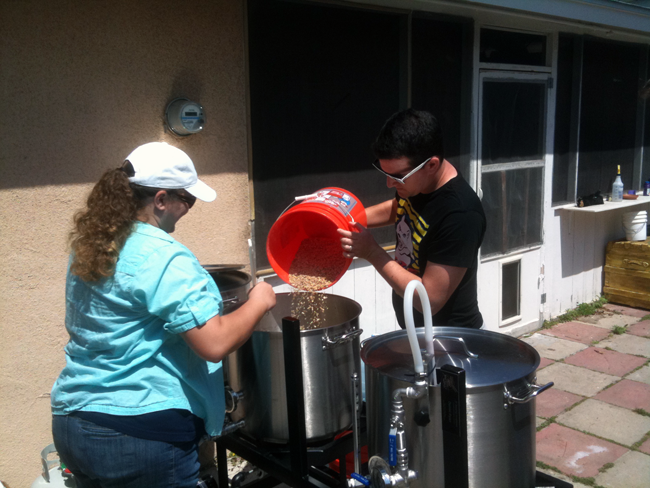 We spent about 3 hours working out the details for the recipe as well as explaining the different aspects of all grain brewing you have to be conscientious of. 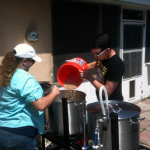 We started setting up the brewery around 8AM on Big Brew Day and there was a buzz of excitement in the air, both because we were brewing and because we were having a party during the brew session. 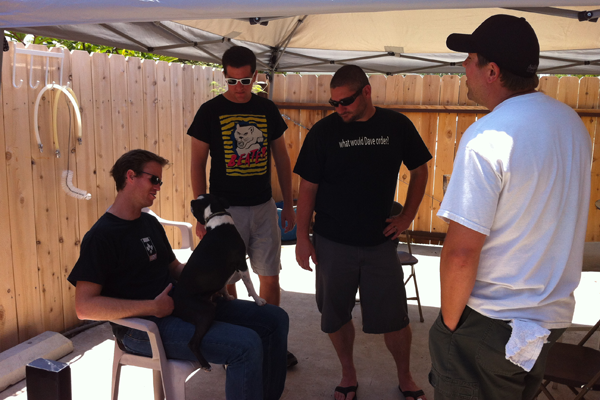 JenEric is pretty adept at putting on a good party but we’d never had one during a brew session. 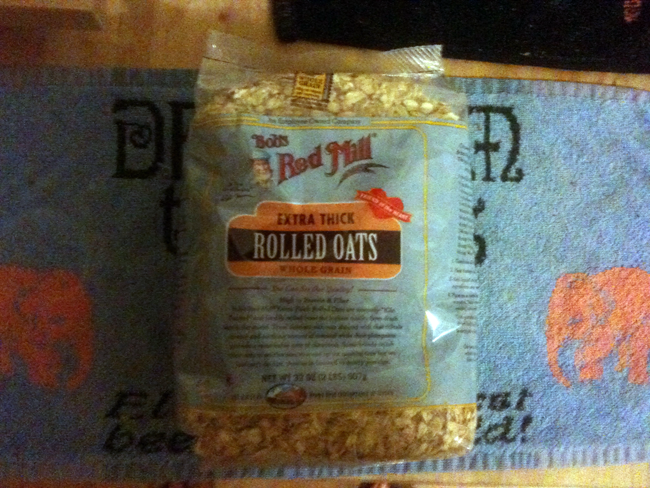 By 10AM Gavin and Alex rolled over with all the ingredients and we went strait into milling the grain. Right away we had a problem. 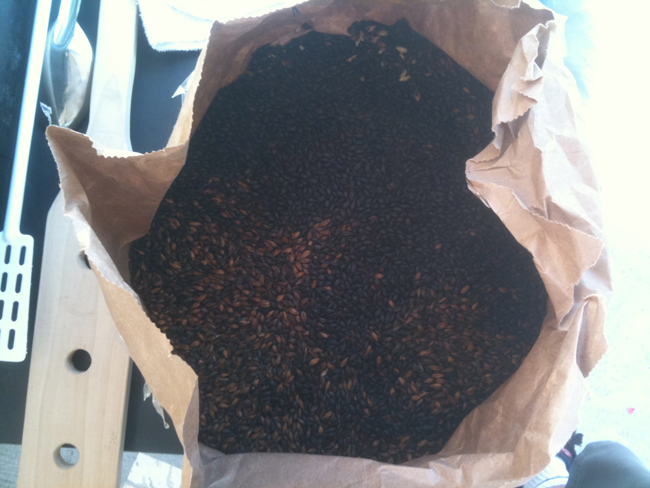 The grain mill kept freezing up and wasn’t crushing the grain. Gavin quickly figured out the issue and we got the mill working again. 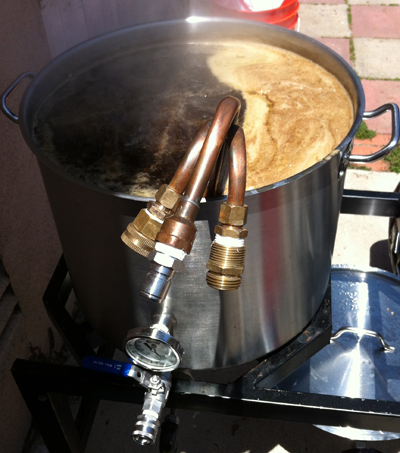 While they were milling I began filling the mashtun and hot liquor tanks with the appropriate amount of water. 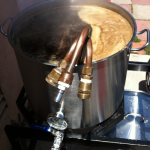 Sure wish we had some of that amazing spring water we used on our previous brew. 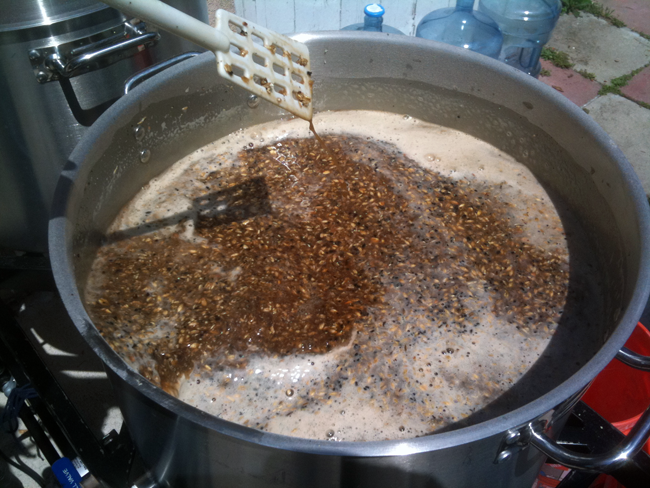 We used pale, crystal, and chocolate malts in the grist with a bit of black patent for some roastyness. 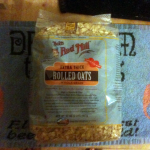 We toasted some rolled oats to give the beer a silky quality and a full long lasting head. We mashed in at 156 degrees for an hour. 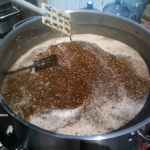 As usual we recirculated for 15 minutes before we began sparging. 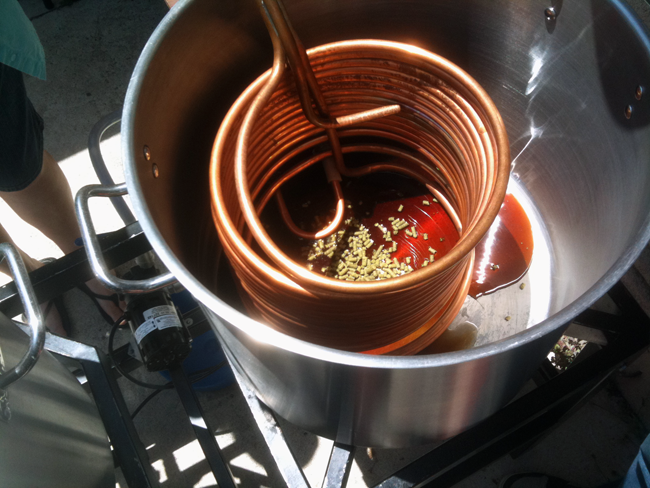 We pumped over the wort into the boil kettle, added first wort hops and had a rolling boil for 60 minutes. During the boil our friend Scott manned the grill and BBQ’d up some awesome carne and pollo we used to make street tacos. The BBQ came out amazing as all the food was devoured. 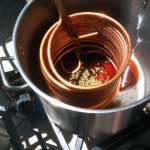 Once our boil was completed we did another 15 minute recirculation and began to chill the wort using our immersion chiller. It took about 30 minutes for the wort to hit 70 degrees and we promptly racked it into our carboys. 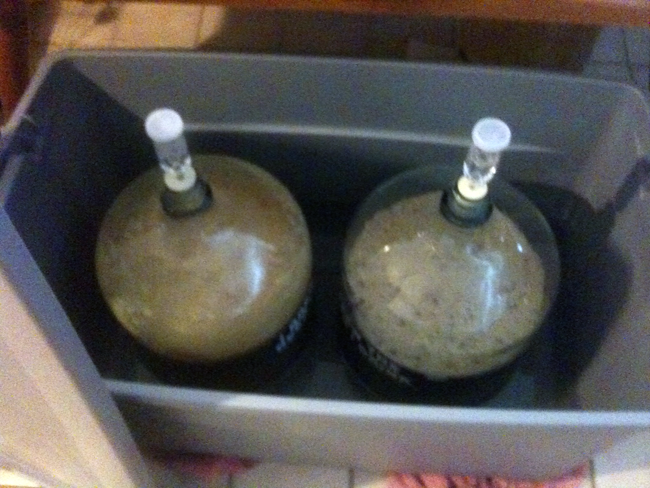 After adding a minute of oxygen to each carboy we pitched our yeast vials – WLP001. 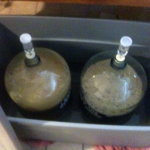 We both fermented in water baths at around 66-70 degrees. 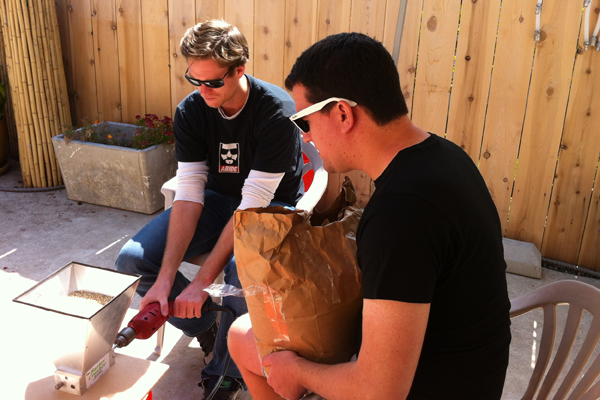 JenEric force carbonated in a corny keg and Alex & Gavin are bottle conditioning their batch. We’re really looking forward to taste testing the two batches. As always I can’t wait to try the final products!! !